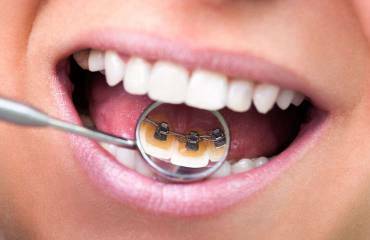 We use advanced proven technology to keep your smile looking the best! Say Cheese! 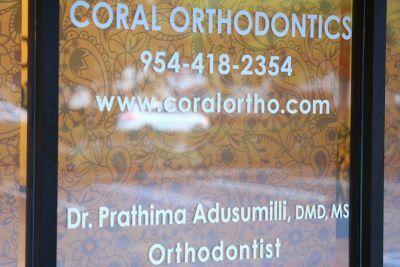 At Coral Orthodontics, office of Dr. Prathima Adusumilli we will make you SMILE! 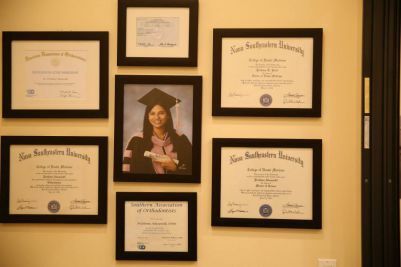 Dr. Prathima Adusumilli and her team treat each patient as an individual with a unique set of orthodontic needs and goals. Office offers unparalleled orthodontic treatment to children, teens and adult patients. 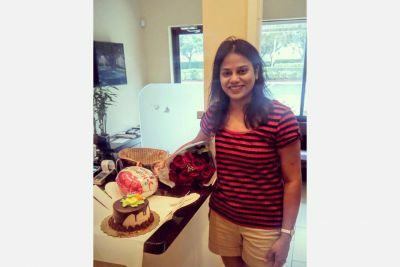 At Coral Orthodontics, Dr. Prathima Adusumilli provides high quality orthodontic treatment including Invisalign at most affordable cost in a very friendly and approachable atmosphere. 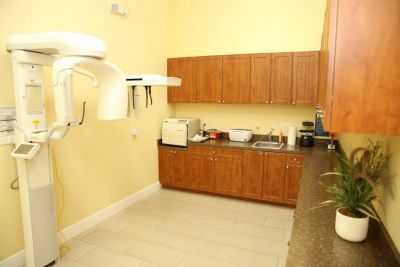 The office is equipped with state-of-the-art digital imaging, x-rays and other dental equipment that aid in delivering the most efficient dental care possible. 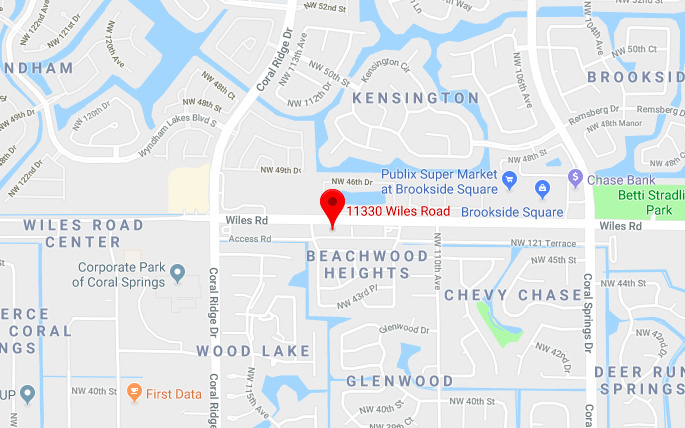 In our conveniently located orthodontic office close to Coral Springs and Parkland, our patients are our main priority. 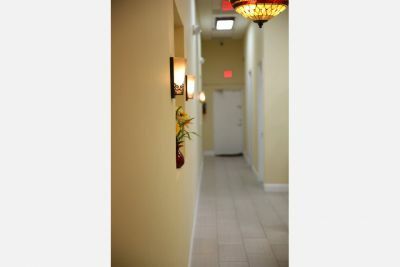 We are especially interested in making you feel right at home! We treat every patient like extended family, and we enjoy the relationships that we establish during and after orthodontic treatment. We are passionate about smiles and having the latest technology is one step we can take to help save yours! 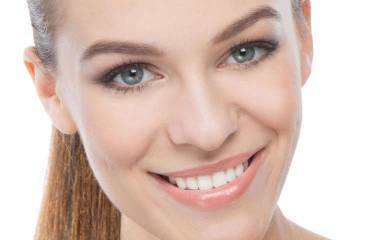 Cosmetic Dentistry refers to the most suitable dental treatments that based on patientï¿½s current teeth or gums condition, concerns, desired outcomes and budget. The purpose of using braces is to make the best of your teeth. This includes allowing you to bite correctly, eat more comfortably, and to care for your teeth and gums more easily. Celebration of your life and journey! We had really great experience at Coral Ortodontists! We have been provided with the great service, care and treatment. 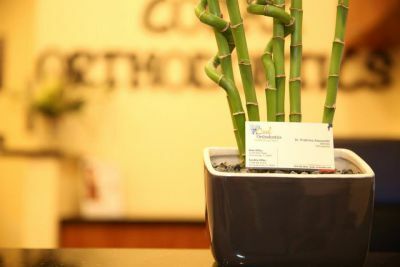 The service was excellent, the staff was friendly, the dentist was incredibly talented, and the list goes on and on. We highly recommend Coral Ortodontists everybody! Came in to the office of Dr. Adusumilli to get braces for my daughter, not only was the price reasonable but she was able to get them on the same day. I loved the cozy office and the awesome receptionist I highly recommend to come in and see for yourself. 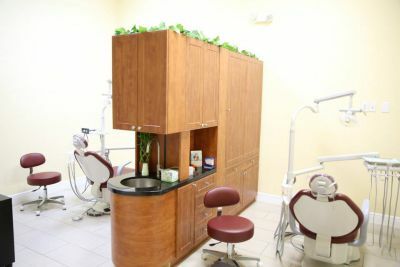 They are the most friendly caring dental office I've come across. They definitely have that caring value. Office is organized and pleasant, and they stay on top of everything from appointment reminders, to answering calls on days they are not even in the office. I ?? this place. Highly recommended. Copyrights © 2018 All Rights Reserved by Coral Orthodontics.